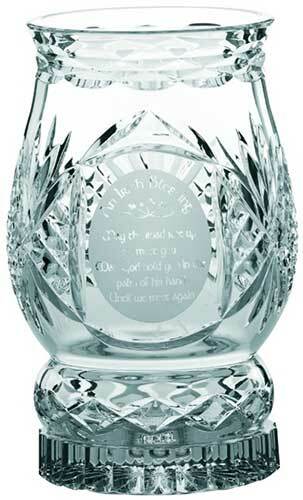 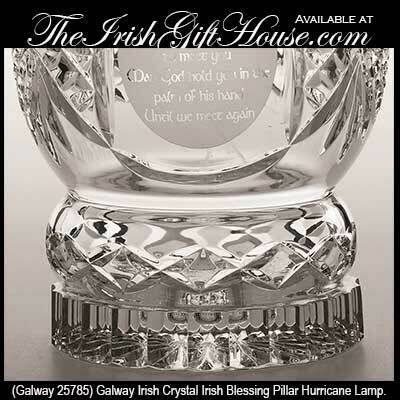 This Irish crystal hurricane lamp features an etched Irish blessing with shamrocks along with a cut motif. 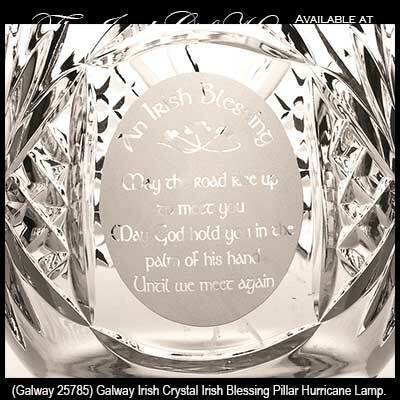 The Irish blessing hurricane lamp is a two piece design that consists of the pillar and the base; it measures 8 1/2" tall and is 5" wide at the rim. 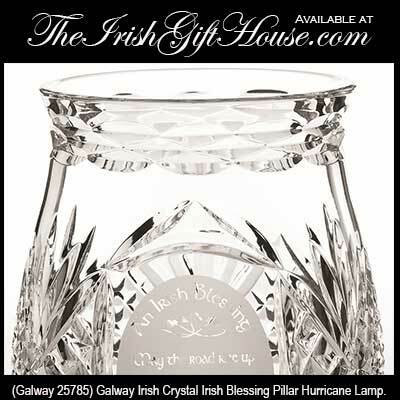 The Galway Crystal hurricane lamp is made of 24% leaded crystal; it is gift boxed with the included pillar candle and a shamrock knot history card, complements of The Irish Gift House.